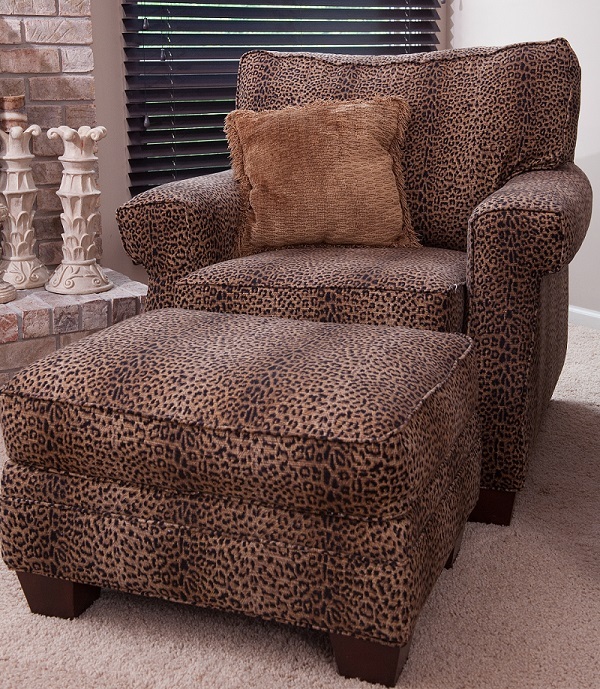 Upholstered Chair Cheetah Fun - Sew What? Sew Anything! Oh how this upholstered chair added such interest to my clients home. This cheetah animal print is so “in” right now. My client loved the result so much she had me upholster another chair with the same fabric. This chair accents the fireplace, and on a cold night I would bet that it is the warmest spot in the house. More Dacron stuffing was added to the chair making it extra comfy.